"We are fortunate to have been able to recruit Mike Young to Virginia Tech, not only because of his proven leadership and coaching ability, but because Coach Young is home in Southwest Virginia and leads his life in the true Hokie tradition of integrity and commitment to service," Dr. Sands said. "I look forward to the excitement and success we will enjoy as Coach Young and his student-athletes hit the court and compete to win. Laura and I are excited to welcome Coach Young and his family to Virginia Tech and Blacksburg. We look forward to sharing our campus and the many Hokie traditions that make this place home for all of us." The 2019 Sporting News Coach of the Year, Young finished third in this season's AP Coach of the Year voting behind Texas Tech's Chris Beard and Houston's Kelvin Sampson. 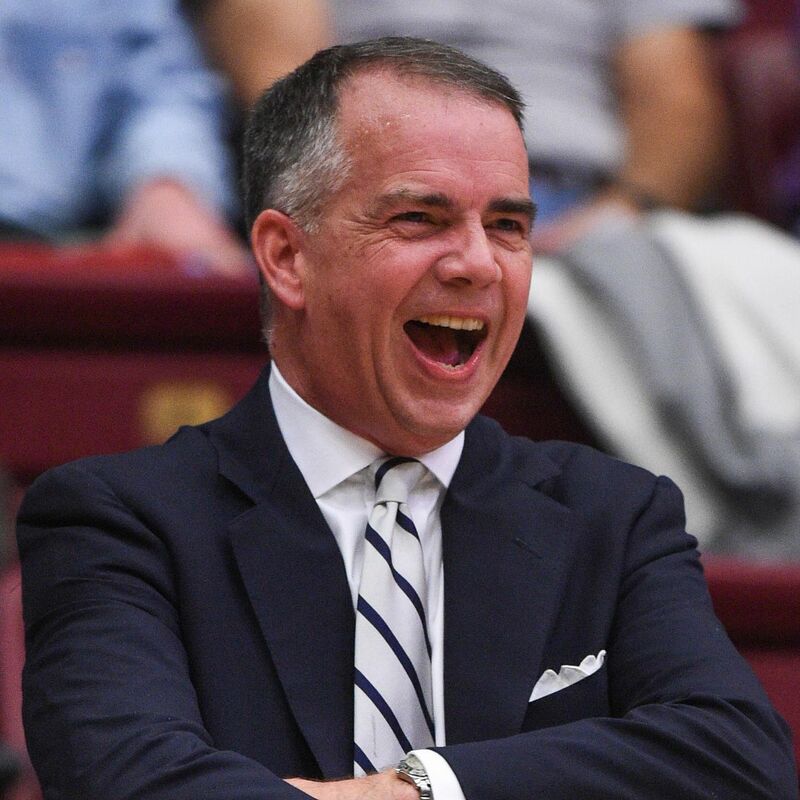 In his 17 seasons at the helm as head coach of Wofford College, Young built the Terriers into one of the Southern Conference's preeminent programs and a perennial NCAA Tournament participant. He guided Wofford to five NCAA Tournament berths over the past 10 seasons and five Southern Conference championships. In addition to the on-court success of his teams, 100 percent of Young's student-athletes at Wofford who completed their eligibility graduated. "Coach Young has earned tremendous respect and admiration across the nation for the integrity and winning tradition that were trademarks of his program at Wofford," Babcock said. "His track record of winning consistently on the basketball court combined with his ability to develop young men into leaders and help them fulfill their potential academically and athletically appealed to us at Virginia Tech. His propensity as a recruiter, a teacher and an innovative coach are all attributes that will serve him well at Tech. "We are excited to welcome Coach Young and Margaret to the Virginia Tech community along with their daughter, Cooper, and their son, Davis," Babcock continued. "I'm confident that Hokies everywhere will embrace them as we embark on the next chapter in the history of our basketball program. Owning ties to the New River Valley and longstanding relationships with coaches across the ACC region, we felt that Coach Young would be a natural fit to lead our program at Tech. In addition to a host of coaching accolades, Young currently serves as a member of the NCAA's Men's Basketball Ethics Committee. "On behalf of my entire family, we are humbled and honored to serve as the stewards of the men's basketball program at Virginia Tech, Young said. "We are extremely grateful to President Sands and Whit for extending this opportunity to us that we will embrace with great fervor and enthusiasm. I've long admired Virginia Tech from afar for its principles, as well as for the ability of its athletic programs to consistently win with integrity. I can't wait to meet our student-athletes, support staff and fans as we prepare to get to work in Blacksburg."